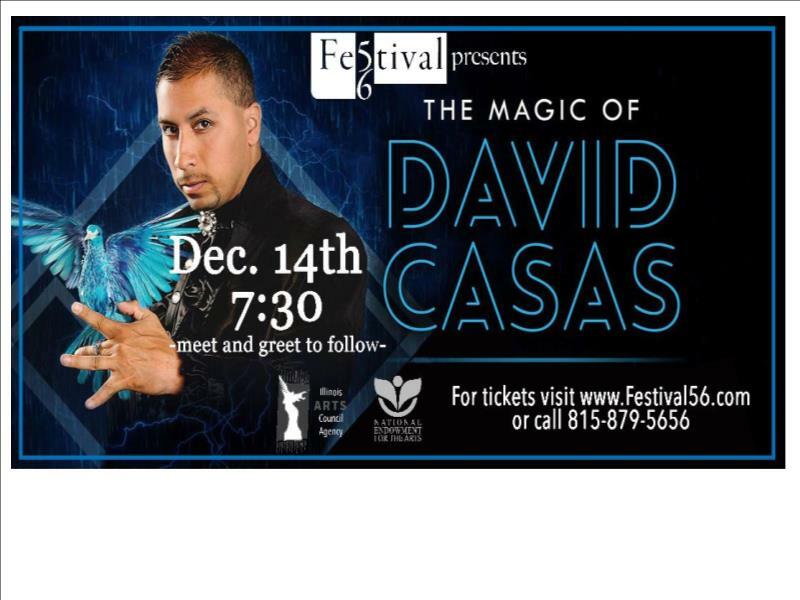 David Casas returns to the Festival 56 stage with a holiday-themed magic show. From Chicago to Las Vegas, David’s unique and cutting-edge style of magic has made him one of the most highly sought-after entertainers across the Midwest. His award-winning show has been described as “a little slice of Las Vegas, right here in the Midwest.” David’s high-energy performances combine hilarious family-friendly comedy, jaw-dropping sleight of hand, and plenty of audience interaction. After the show, kids will have an opportunity to “Meet the Magician.” A truly one-of-a-kind, must-see performance!